A traditional Venture Capital (VC) firm would have to go through umpteen number of meetings, listen to a variety of ideas before taking a decision to make an investment in a particular project. Also how does any VC make the investment decision? Well, it is obviously based on certain knowledge of that industry/ project but there is also gut feeling, it’s a mind and heart deciding together. But can you imagine a situation where all decisions are made only by brain. 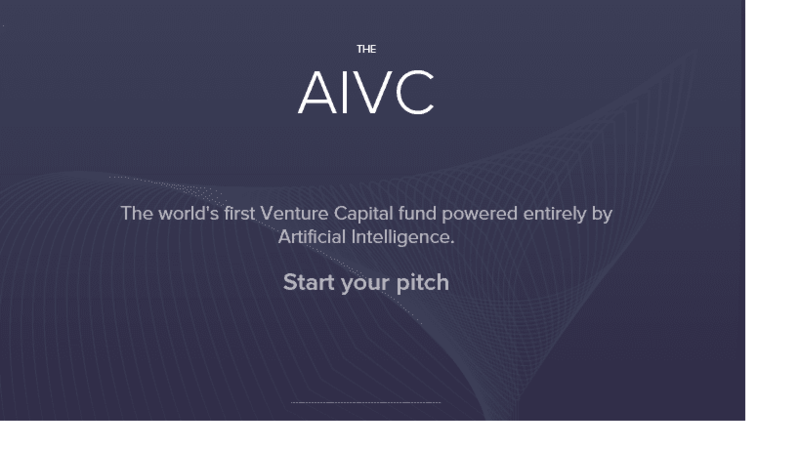 Well AIVC is one such example where this venture capital is powered by Artificial Intelligence. AIVC is the world’s first ever venture capital firm which is 100% powered by an AI. Off late we are seeing AI venturing into every field and hence venture capital comes with little or no surprise. The way AIVC works is purely on data i.e. it is completely driven by data. So when a company approaches AIVC for investment, AIVC makes use of historical data and advanced predictive algorithms to make any decision with respect to investments. AIVC has been fed with all the venture capital deals done ever and updates itself on a real-time basis. It uses this information to take investment decisions. Hence the decisions made by AIVC are purely based on data and does not involve any other external factor. This venture capital web portal aims at being the mid-point between artificial intelligence and venture capitalism. AIVC also has advanced Unicorn Identification Capabilities. So the visitors are treated with these type of funny, rude questions just to be on the lighter side and to joke with the visitors. The idea behind the website is to create some humour and the entire website is designed with such witty and snarky questions and statements. All said, the question remains whether AI is the future for venture capital. Is this a threat to existing and traditional venture capital firms? Only time will help us get answers to these questions. AIVC has been recently launched and is still in its initial stages. So only with time, it will be revealed whether AIVC is a success or no.